YOUR EXCLUSIVE DISTRIBUTOR OF HORTON AUTOMATICS PRODUCTS FOR GREATER MONTREAL AND MANY REGIONS OF QUEBEC! We offer installation, repair and maintenance services for automatic doors and door operators. Our technicians are able to repair any brand. 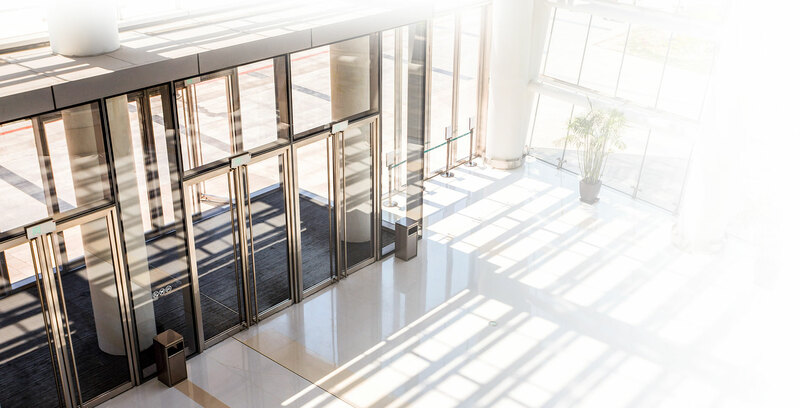 Horton Automatics is a world leader in the manufacturing of automatic doors, revolving doors, automatic door openers for universal or high-traffic access, service windows and a wide range of specialized doors. We offer consulting services for your project, we sell, install, maintain and guarantee our products. We also developed for several years a good expertise in door control systems on PLC for control posts and gates. In addition we offer a complete range of products to secure access to buildings. 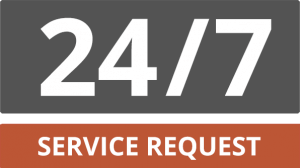 We offer 24/7 repair and maintenance service, our technicians are able to repair all brands of automatic doors. Whether it is for an automatic sliding door, universal access door opener, service window, revolving doors or any other Horton product, you can count on us to advise and serve you. Horton offers a complete range of commercial, industrial and specialty sliding doors. Horton doors are known for their strength, reliability and elegance. Horton offers a wide range of automatic door operators that can accommodate all types of new and existing swing doors. Horton has been a leader in the field of drive through service windows for many years. We offer automatic windows and manual windows. Automatic folding doors are ideal to maximizing free opening in areas where the wall opening is restricted. 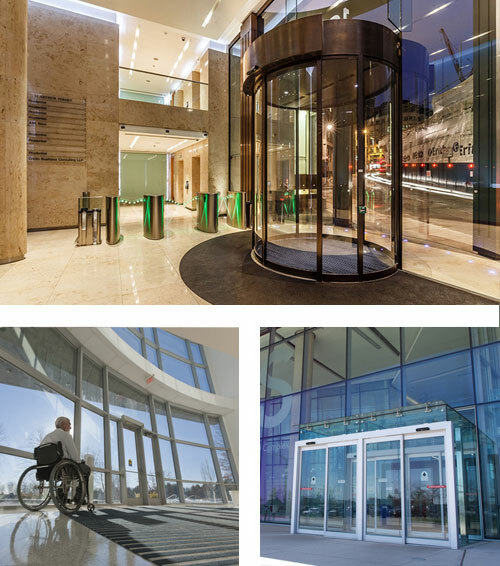 Horton revolving doors offer a spectacular look, while ensuring excellent energy efficiency and great pedestrian circulation. With the broadest selection of healthcare products in the industry, Horton makes a difference in the patient experience and hospital efficiency. You have a project in mind and want to know more about our products or you need a quote for a project, contact us via the online form or by phone at 450-670-7876. Being specialized for several years in door control systems for main control posts and secured access, we have a complete range of specialized or customized products to ensure the security of your building access. Whether it is for a centralized door control system, programmed according to your needs, for security turnstiles or security revolving doors we have the solution for you! As the exclusive distributor of Horton Automatic products, we are proud to present our new range of optical safety turnstiles. Horton revolving security doors adapt to different levels of security. They can be used in locations requiring the highest levels of security as well as for standard security levels. At AD3R since 20 years we have developed a unique expertise for the programming and the development of customized door control systems.